Provides comprehensive analysis of the special taxprovisions that apply to life insurance companies. 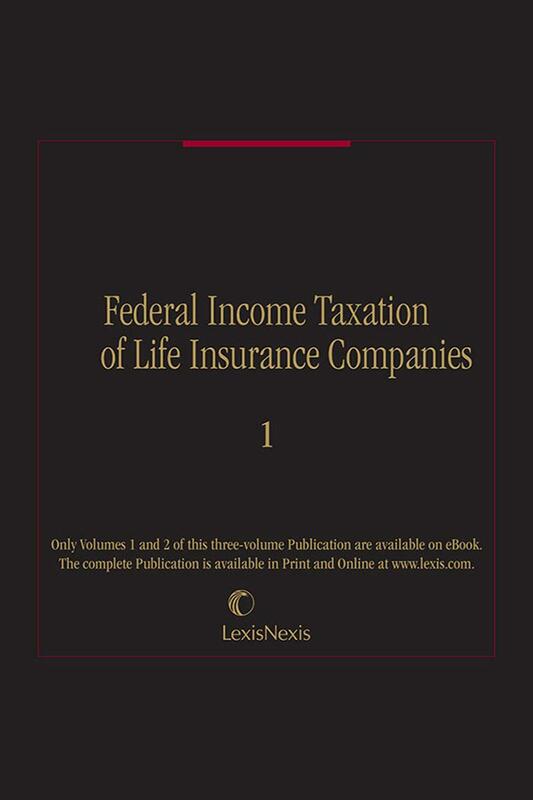 Federal Income Taxation of Life Insurance Companies provides comprehensive analysis of the special tax provisions that apply to life insurance companies. 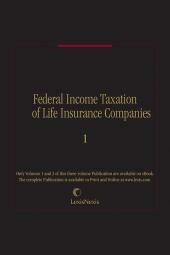 The 36 chapters examine special areas in taxation of life insurance companies, corporate reorganizations involving life insurance companies, taxable acquisitions of life insurance companies, taxation of foreign life insurance companies and foreign branches of U.S. life insurance companies, and much more. • Changes to the tax reserve calculations in IRC Section 807 that were made to accommodate principle-based reserves. • Changes to the proration rules that eliminate the complex calculations under prior-law IRC Section 812 for purposes of determining the company’s share and policyholders’ share. • Changes to the capitalization rules for policy acquisition expenses that increase the proxy capitalization percentage applied to net premiums and lengthen the amortization period. • The repeal of the small life insurance company deduction. • The repeal of the operations loss deduction in IRC Section 810 and its replacement with the net operating loss rules in IRC Section 172 applicable to other corporations. • The change to the provisions in IRC Section 807(f) regarding changes in basis of determining reserves, eliminating the 10-year spread and treating such changes as automatic consent changes under IRC Section 481. 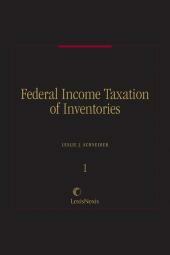 • Some of the more significant general changes to the Internal Revenue Code, including, among other things, repeal of the corporate alternative minimum tax; the base erosion anti-avoidance tax in new IRC Section 59A; the participation exemption system dividend deduction in new IRC Section 245A designed to move the U.S. more toward a territorial tax system; the transition tax under IRC Section 965 and related effects on the foreign tax credit. This pub also includes legislative changes and IRS rulings, tax-planning suggestions and hypothetical examples. 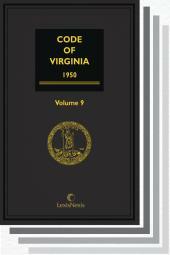 3 Volumes; Loose-leaf; updated annually.